يحظى فندق Arrival Accommodation Centre بمكان متميز في محور المدينة والاستمتاع بـ شواطئ, تسوق, برامج عائلية في هذه المنطقة الفاتنة. يمكن من هنا للضيوف الاستمتاع بسهولة الوصول إلى كل ما تقدمه هذه المدينة النابضة بالحياة. سوف يعشق النزلاء موقع هذا الفندق، فهو قريب من أهم المعالم السياحية في المدينة . إن الخدمات الممتازة وحسن الضيافة العالي في Arrival Accommodation Centre تجعل إقامتك تجربة لا تنسى. يمكن لضيوف الفندق الاستمتاع بالميزات التالية على أرض الفندق: واي فاي مجاني في جميع الغرف, مطبخ, تخزين الأمتعة, واي فاي في المناطق العامة, صف السيارات. استمتع بوسائل الراحة الراقية في الغرف أثناء إقامتك هنا. بعض الغرف تتضمن اتصال لاسلكي بشبكة الإنترنت (مجاني), غرف لغير المدخنين, مكتب, مروحة, ثلاجة لمساعدتك على استعادة طاقتك بعد يوم طويل. يمكنك طلب اللائحة الكاملة للخدمات في الفندق ومن بينها مسار جولف - ضمن 3 كم, حمام سباحة خارجي, حديقة. يحظى فندق Arrival Accommodation Centre بموقع ممتاز وخدمات يصعب منافستها. يتم تقديم الفطور للضيوف لقاء رسم إضافي. 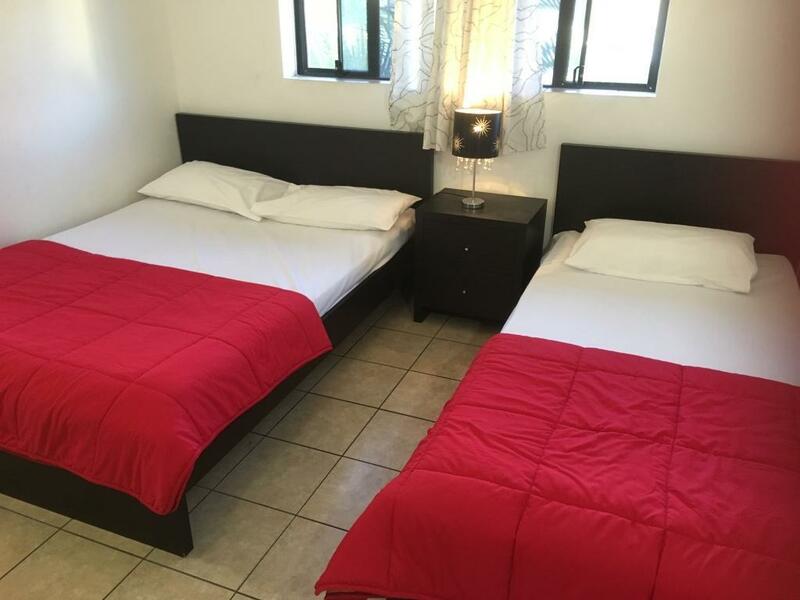 Furniture is bad, cheap and old Facility is poor, just barely usable You can hear the next door No air conditioning If you’re a family who needs two or more rooms, you are better off looking for a holiday house with better privacy, facilities and confort for the same price. It was affordable, clean, self contained. Rooms were a bit Small, and you have to bring your own towel, toiletries etc. Staff were really nice to us. Pool was clean but small. Overall enjoyed my holiday away from my day to day routine and saved a lot of money. My friend and I had to stop at the Gold Coast for one night, we were glad to find a last minute place to stay. We arrived to the accommodation centre after the checkin time but the staff was kind enough to let us checkin anyways. The room was clean and tidy with standard furnitures. Shared bathroom area was satisfactory. Nothing to complain. Was going to book a campsite at the nearby caravan park but realised for 3 people, it was cheaper to book a room here than a piece of grass to set my tent. Parking underground costs money but they were full so we found a spot in a nearby side street which had plentiful parking. Its very close to the restaurant areas in southport with many restaurants to choose from. It's a good place if you're planing NOT TO get crazy, smoke funny things or drink. It's a place to stay with your family or friends, trying to be nice with the staff and having a good attitude. 8 dollars for parking each night. Observation & Analysis: Walked in to 2nd floor reception to check in during the morning of 04/05/15 and I was greeted by megawatt smiles by Greg and Annette (superbly friendly people). Greg showed me my room on the 1st floor which was facing the pool along with showing me where the toilets and smoking areas were, even gave me pointers on where to go for coffee. Matt who works there was also extremely friendly and approachable, also armed with megawatt smile. 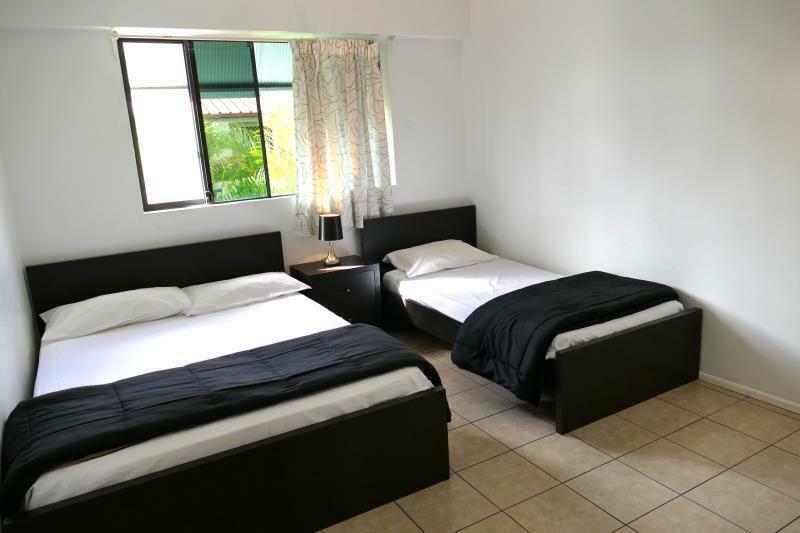 Arrival Accommodation offers a homely environment for backpackers that are visiting the gold coast. The place is relatively quiet at night so no worries on the noise pollution part. Southport south is also generally safe at night ( cause I went for a stroll in the middle of the night due to jetlag and it was very safe). Cleanliness & hygiene: 5/5 Whole interior of the house on all levels are swept, mopped, cleaned thoroughly every morning by Greg, Annette and Matt. Toilet: 5/5 > Toilets are mopped, cleaned and maintained very thoroughly every morning without fail. This applies to all toilets. Room: 5/5 > Got to my room and was better then what I had expected to see. Clean beds, floor and not a single trace of anything you might find unpleasant. Kitchen:5/5 > crockery, plates, utensils are all provided. You can store your food and water in the 2 refrigerators. Living room: 5/5 > Flat screen TV with sofa Smoking area:5/5 > very well maintained. Accessibility: > 65 minutes away from Coolangatta Airport( got on the 5am tram at Southport South tram station, change to bus 777 all the way to airport. Alighted at 6.05am) > lodge is only a 1 minute walk to southport south station. Do buy them coffee in the mornings, if you think my review is accurate :) Cheers!!! without air-conditioner, but corridor is very cool kind staff, clean room, good location, beautiful beach park near by, great sight view. near to Sea World,not far away has bus stop, conveniet transpotation. overall, the stay at this accommodation was pleasant. the room came with basic facility and clean. 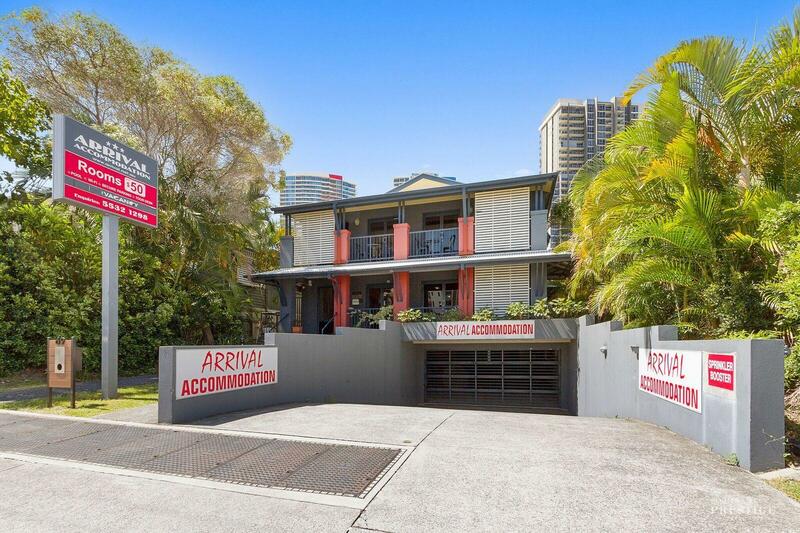 location was just ok as it is not close to the beach and need to take a bus to get to the surfers paradise. shopping area is just within walking distance from this hotel and the owner was quite helpful. 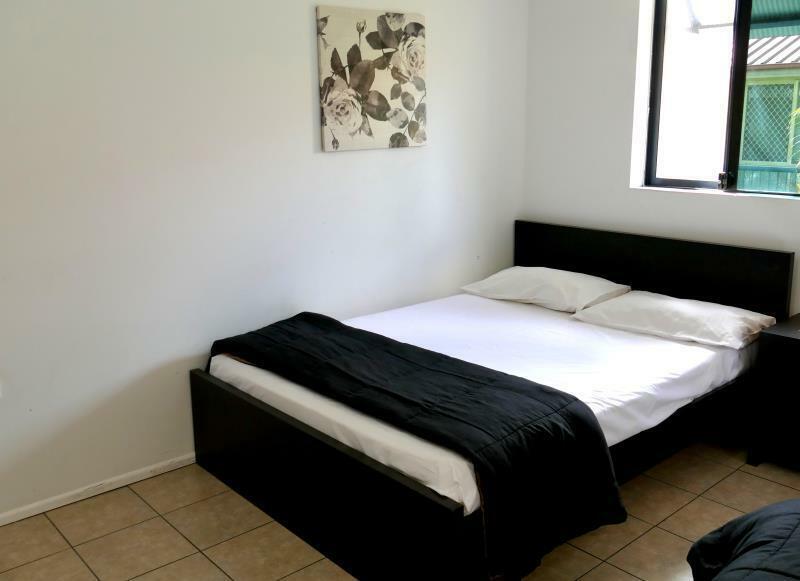 Good basic accommodation at a budget price on Queensland's beautiful Gold Coast. 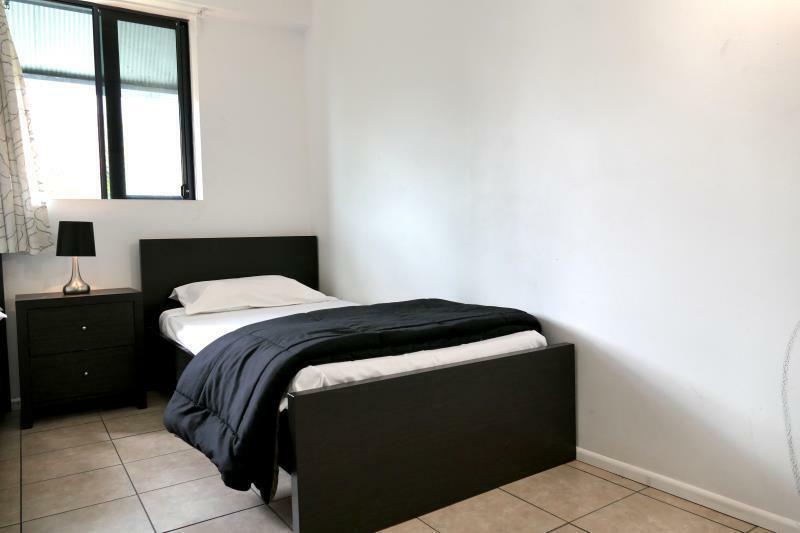 Arrival Accommodation Centre is located in the heart of the Gold Coast CBD near Surfers Paradise and walking distance to shopping centres, cinemas, parks, beaches, Southport Hospital, Gold Coast Institute of TAFE and english language schools. Humidity of the toilet and shower area creat strange smell and little flies. Someone left dishes all day and seems no one cleaned for a day. Chrissie was very helpful and friendly. She made me feel very welcomed and went the extra mile. Location are near to tram station, room amd toilet was clean. Is convenient as there are buses and tram to travel to places. If you don't mind walking, you can also walk to Southport station for asian food! left key in room ..early departure.. as have many other places.. got charged $50 .. cheap stay became expensive folowing night for cost of room and key i stayed in 5 star place. Not one of the best experiences staying in a so called "hotel". You almost get what you paid for but i doubt i will be going back there again. Here's the pros and cons. Pros: The staff were friendly. Location was close to major attractions and has a tram stop near by (although i didn't use it as I had a car). Cos: -The beds were really dirty. The first room I got was extremely smelly, smells of damp socks, and the blankets were stained. Managed to get another room and staff was apologetic. Again the blankets in the second room were also stained (possibly of human products). But at least the room didn't smell so braved for two nights. -The common rooms were occupied by a number of drunk men, watching TV until about 11pm. They appeared to be regular or long term customers. Rooms are not sound proof so yes you will hear what they are watching. -The facilities are a bit worn down. Toilet without working lights, bathrooms with broken fittings and broken bed side table lamp. 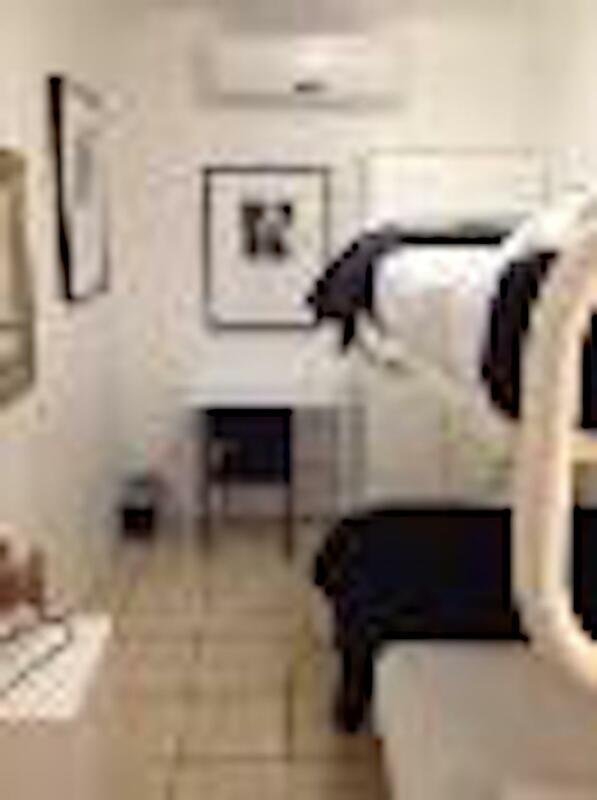 -Be warned that this is a budget accommodation and nothing is included. Parking is $8-$10/night, and you need to buy towels and wifi if you haven't got one.